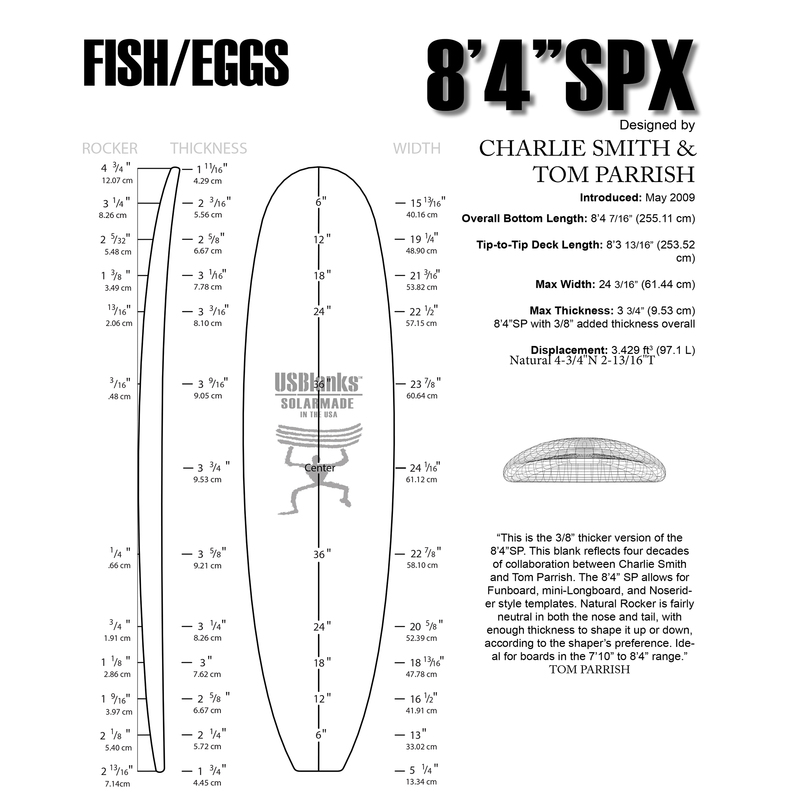 US Blanks 804 SPX with 1/8″ Basswood Stringer. Designer Comments: This blank reflects four decades of collaboration between Charlie Smith and Tom Parrish in one form or another. The 8’4” SP allows for funboard, mini-longboard and noserider style templates. Natural rocker is fairly neutral in both the nose and tail, with enough thickness to shape it up or down, according to the shaper’s preference. Ideal for boards in the 7’10” to 8’4” range. Overall Bottom Length: 8′ 4 7 /16″ (255.11 cm). Tip-to-tip Deck Length: 8′ 3 13/16″ (253.52 cm). Displacement: 2.97 ft³ (84.0 Litres). Very versatile. 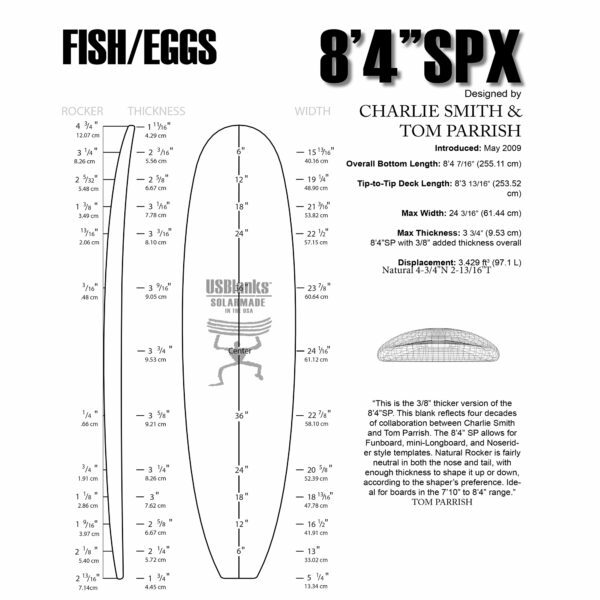 US Blanks 804SPX with 1/8″ Basswood stringer but with extra foam. Designer Comments: This blank reflects four decades of collaboration between Charlie Smith and Tom Parrish in one form or another. The 8’4” SP allows for funboard, mini-longboard and noserider style templates. Natural rocker is fairly neutral in both the nose and tail, with enough thickness to shape it up or down, according to the shaper’s preference. Ideal for boards in the 7’10” to 8’4” range. Stringer Options: 3/16″ Basswood. 1/8″ cedar. 1/8″ Redwood. 3/16″ Redwood. 3/16″ balsa. Note: We offer any stringer, density, rocker, or colour in any blank. So many variables limited only by your imagination. 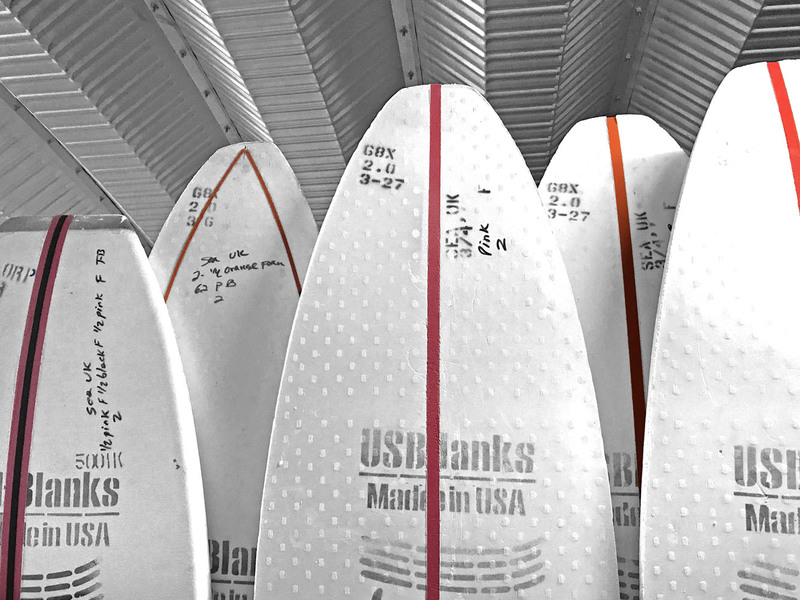 See or download the latest US Blanks blank catalogue, stringer configuration information, rocker information, foam choices or foam colour options here. 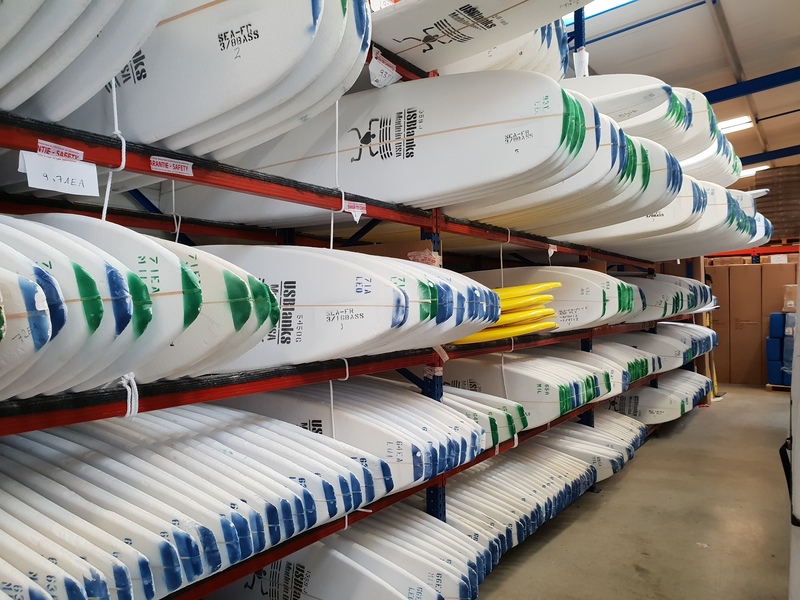 US Blanks – the world’s best selling foam – are without doubt the strongest, accurate, most user friendly foam on the market. Surfboards made with US Blanks have the best feel according to all research. The stringers are straight, clean and easy to plane. The foam cleans up so well. 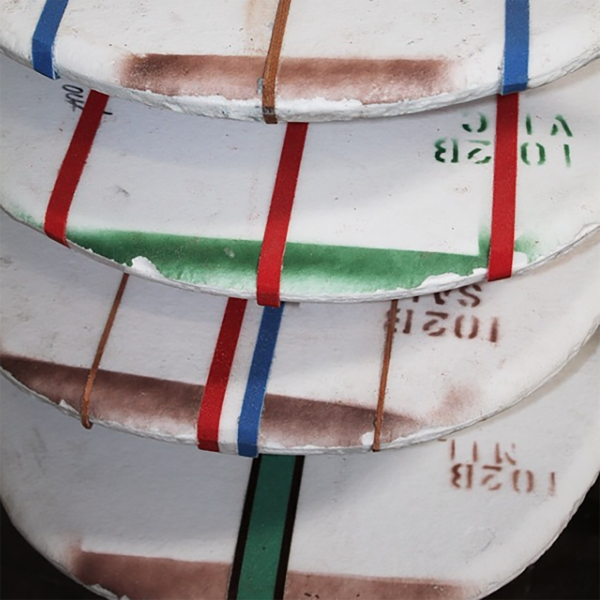 The plugs are from the best shapers, bar none. Plus you get custom rockers, coloured foam, coloured glues, a huge range to choice from, and total respect! We’ve seen foam companies come and go – this is the foam from which all our production is produced, and we recommend (and guarantee) every blank we sell.